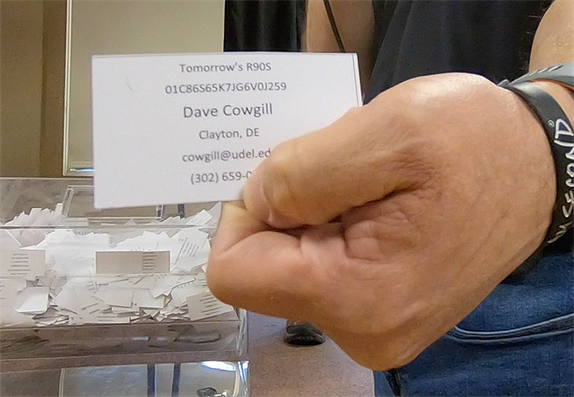 CongratuLAtioNS Dave Cowgill of Clayton, Delaware! YOU won! The BMW MOA Foundation's R90S raffle ended Saturday night at the MOA Getaway Fontana. Dave Cowgill of Clayton, Delaware was announced as the lucky MOA member in front of a crowd of over 160 MOA members at the Getaway. 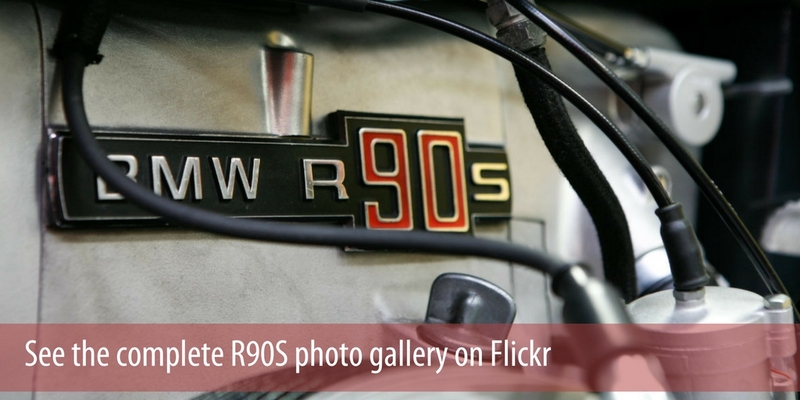 Dave will ride away on the perfectly restored R90S motorcycle. Need to verify your ticket purchase or check your ticket numbers? Follow the link below to an alphabetical list of ticket buyers ordered by last name, city and state for purchases through March 27, 2018. Tomorrow has arrived. That's what BMW said about the new R 90 S in 1974. In 2018, we say tomorrow has arrived because the MOA Foundation is giving one away. A 1974 BMW R 90 S - expertly restored by Chris Canterbury of Boxer Metal. This one is pristine, perfect and ready for tomorrow. 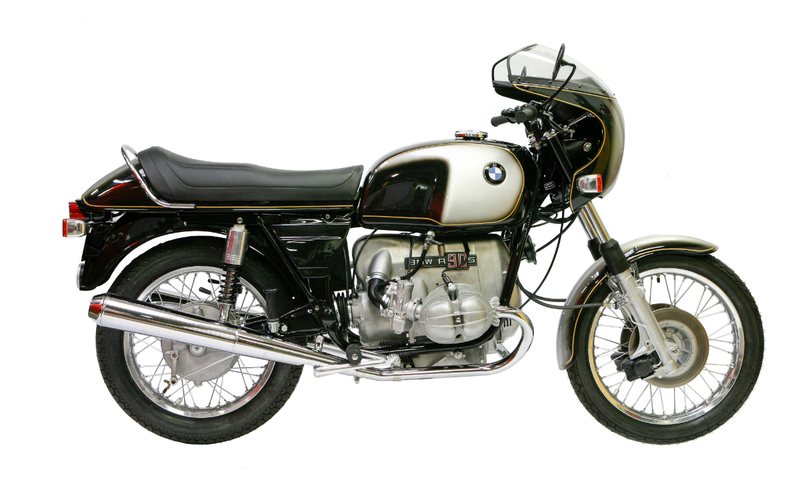 You can win this all original BMW R90S with the purchase of a $25 RAFFLE TICKET or get a deal on five tickets for $100. Proceeds from the raffle go straight to the BMW MOA Foundation for the advancement of motorcycle rider safety, education and training. Drawing to be held April 21, 2018. You do not have to be present to win. Raffle ticket sales begin February 1, 2018 and end March 31, 2018. All ticket orders must be RECEIVED on or before March 31, 2018. Prize drawing to be held April 21, 2018 at the MOA Getaway Fontana. Ticket buyers do not have to be present to win. Raffle tickets may be ordered online at BMWMOAF.ORG, by calling (864) 438-0962 or by mailing a ticket order blank posted in the BMW Owners News. You must be 18 years of age or older to purchase a ticket. Multiple ticket purchases by a single buyer are permissible. Confirmation of ticket orders and ticket numbers will be returned via email. A complete list of ticket buyers will be published at bmwmoaf.org before the drawing on April 21. Odds of winning depend on final number of tickets sold. Complete winners list will be posted at BMWMOAF.ORG. Winners claiming their prize must present winning number and PHOTO IDENTIFICATION. Winners are subject to all applicable taxes. Consult your local tax professional for exact tax liability. The BMW MOA Foundation reserves the right to replace, substitute or exchange any of the prizes listed with a similar prize of equal or greater value. BMW MOA Foundation Board members, BMW MOA and Foundation employees, contractors and their immediate families are ineligible to win. Immediate family defined as spouse and dependent children. The BMW MOA, BMW MOA Foundation, their officers, directors, employees, volunteers, sponsors or any person or organization affiliated with BMW MOA will not assume any liability for any loss, injury, claim or otherwise resulting from any prize obtained through the sale of a ticket. By submitting an order for a raffle ticket and receiving a drawing number, the buyer acknowledges this limitation of liability and assumes any liability and will hold harmless the BMW MOA Foundation or any affiliate for any liability resulting from the purchase of this ticket or any prize resulting therefrom. "For more info on the build http://boxermetal.com/an-r90s-for-charity/" for some reason the link is no longer active. I bought the 2nd R 90S sold by Campus Motors in Centereach NY. At that time I thought the 900cc stickers looked cheezy and I removed them! Now I have a 2nd one that I assembled from a literal basket case. In your bike I see a couple discrepancies not yet called out. first, the reflectors front and rear are missing, NLA I believe. The right side cover is the later and currently only available style that has a notch for the frame bolt along the top edge; an original would be straight along the top. Lastly, the pinstripes are way off! The stripe across the tank bottom should align with the seat stripe, this one is way off. I admit I failed to notice the missing rubber plugs on the fork ends! Good catch there! Early bikes had a problem with the pushrods easily bending- my friend that got the first one at the local shop had his replaced, they bent again, that summer it was taken to Butler and Smith for evaluation-it came back with pushrods of different construction. I was a senior in high school when the R90S made it's debut. I still think it is the most beautiful motorcycle ever. My favorite color of the 2 choices also! I will take it decals or not.....Beautiful! This was the bike of my dreams when I was young. Great Job. It does look good. I like the decals, but I guess the dealers often shipped them loose with the bikes so the owner could put them on or leave them off as they chose. Definitely though, I would add the missing rubber caps to the bottoms of the fork sliders. Item #14 on the fiche; part #31 42 2000381; 2 required at $3.47 each. Support your favorite BMW Dealer. It does look good. I like the decals, but I guess the dealers often shipped them loose with the bikes so the owner could put them on or leave them off as they wished. Definitely though, I would add the missing rubber caps to the bottoms of the fork sliders. Item #14 on the fiche; part #31 42 2000381; 2 required at $3.47 each. Support your favorite BMW Dealer. Looks really great...better than original in some ways. I think the absence of decals on the battery covers is good. There were no hose clamps in 1974. Not needed. Gauges and tires look original. Wow what a beauty! Hope I win it! Curious though, shouldn't there be a hose clamp on the fuel line going into the bottom of the petcock? Good catch, Chris. I assume it’s artistic license, but it is otherwise so close to original. Since I am a hopeless Airhead fanboy, I’ll point out one other area. Are the gauges really 100% proper for a ‘74? My perfect range is /6, ‘74 through ‘79............no plastic air boxes for me, thanks (-:.............and hard to beat an R90S, particularly an original survivor (and they’re out there). Very cool... Why no 900cc decal on the side panels, though? I believe they're still available. Good luck with the raffle!